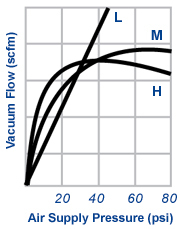 Straight through vacuum passage allows material to pass directly through the pump with no reduction of vacuum flow. 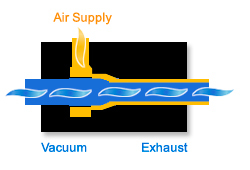 Ideal for transporting or conveying solid materials which is entrained in the vacuum flow of atmosphere air through the pump. 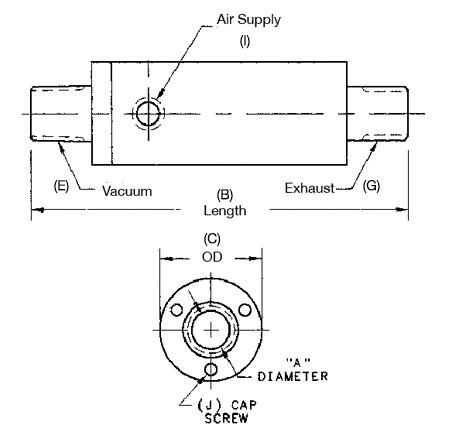 Vacuum flow applications also include removal of air or other gasses from a process vessel, chamber, tank or some other closed systems. 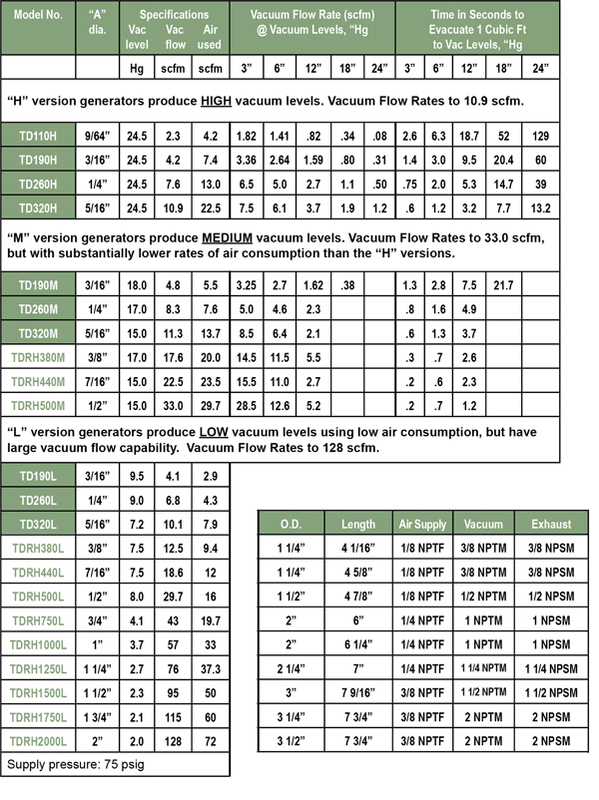 Vacuum levels to 24.5"Hg. 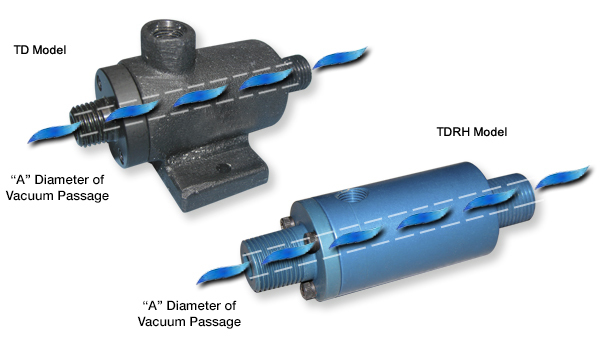 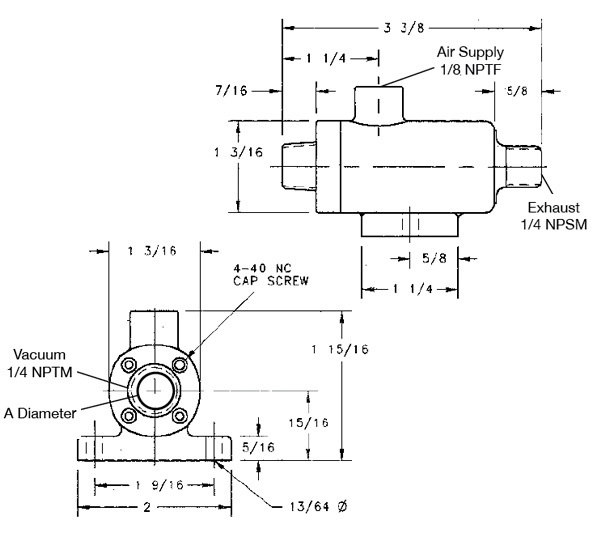 Diameters up to 5/16" for TD models and up to 2" for TDRH models.